Khalid has one of today’s biggest breakout careers. After topping charts and earning Grammy nominations with his critically-acclaimed debut American Teen, the young singer-songwriter is already prepping his much-anticipated follow-up. 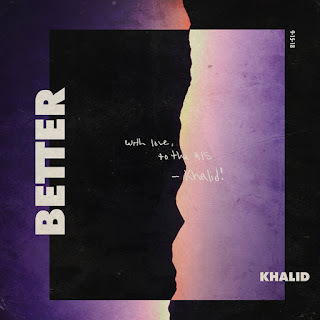 Hot off his blazing collaboration “OTW” with Ty Dolla $ign and 6LACK, the 21-year-old crooner returns with the smooth mid-tempo, “Better.” Emphasizing the feelings of a special but secret blooming romance, Khalid praises his private emotions. The Texas native dedicates the song to his hometown of El Paso. “With love, to the 915,” he writes on the cover art. Just this week, he earned three American Music Awards nominations and also received the key to his hometown.